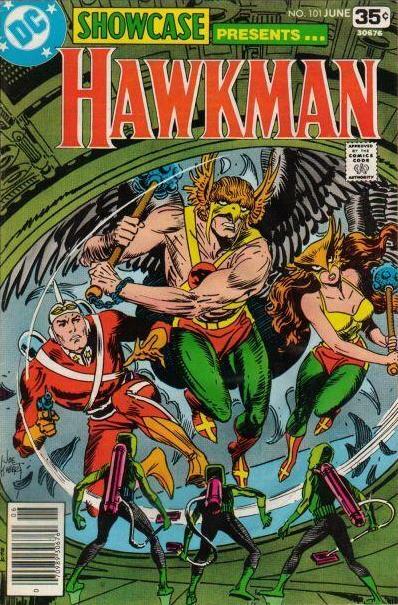 DC is finally giving Hawkman his own series back this week – and Hawkmaven Tim Board of the vibrant Hawkworld Facebook group (click here) is here with another look at the Winged Wonder’s often convoluted history. 13. Hawkman, Vol. V (2018): This series got started with the Metal saga in 2017, and also in the solo issue Hawkman Found (Feb. 2018). Robert Venditti will write the series and Bryan Hitch will lead the art. From the information the two have actively shared on Twitter, I believe this series will shoot up the rankings quickly. It is the fifth series titled “Hawkman” and in honor of the writer, I’ve been calling it “Vol. V” instead of “Vol. 5.” Here’s hoping for an awesome, long-lasting series. 12. Death of Hawkman (2016-17, 6 issues). The story by Marc Andreyko, with art by Aaron Lopresti, was good fun and it even gave us the Thanagarian Green Lantern Rayn Kral. We saw a Hawkman who was hairier (ask Adam Strange) and more savage than we’ve ever seen, and a Strange who seemed like he was doing heroics for the first time. 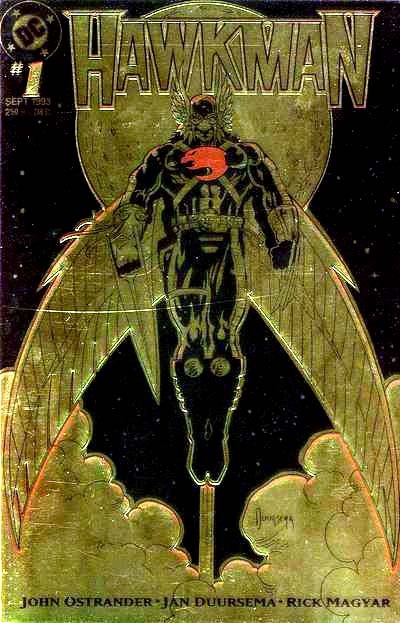 The series was originally titled “Out of Time,” but shortly before its release it was changed to “Death of Hawkman.” It loses points for the ominous feeling of the impending death; the Issue #5 cover tease of Hawkwoman, who never appeared in the story; and the unfulfilled promise of the story’s continuation. 11. Hawkman, Vol. 3 (1993-96, 33 issues, 2 annuals). This series came six months after Hawkworld, Vol. 2, ended. John Ostrander wrote the first six issues and one annual before handing the series over to William Messner-Loebs. Steve Lieber took over the art from Jan Duursema after Issue #5. The series started off OK but then Zero Hour hit and we had to watch Hawkman go slowly insane and Hawkwoman become insignificant. Hawkman was pretty much shelved for the next five years. 10. The Savage Hawkman (2011-13, 21 issues). The New 52 series by Tony Daniel and Philip Tan gave us some good things: the interesting concept of Nth Metal being bonded with Hawkman’s body, the new interpretations of classic Hawkman villains, as well as some new adversaries for the hero. But the constant changing of writers (six in all) never allowed the series to establish itself. The appearance of a completely new version of Shayera Thal was also short-lived. 9. 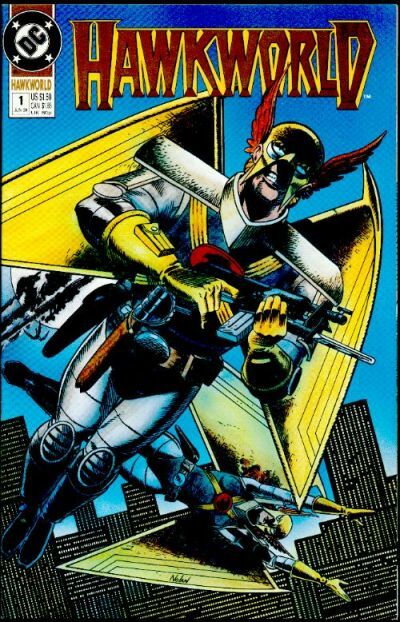 Hawkworld, Vol. 2 (1990-93, 32 issues, 3 annuals). The follow up to the amazing Hawkworld, Vol. 1, was the series where everything was rebooted. 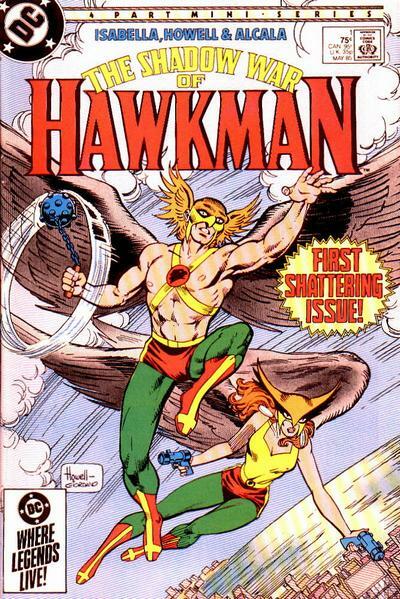 John Ostrander did his best to establish Hawkworld’s Katar and Shayera as the Thanagarian Hawks, and he rebooted the Silver-Bronze Age Katar and Shayera into the Golden Age Carter and Shiera. It works if you ignore or imagine a whole lot of things but this is where Hawkman’s continuity really took a wrong turn. Graham Nolan did a great job with most of the art in the series. Just don’t ask Hawk fans about those red and orange costumes toward the end of the series. 8. Hawkman, Vol. 2 (1986-87, 17 issues, one special issue). 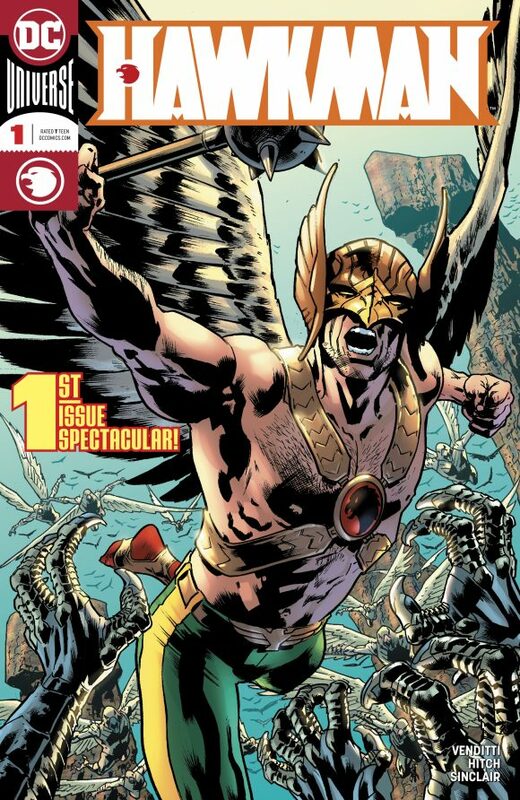 After the success of The Shadow War of Hawkman, DC Comics gave writer Tony Isabella the green light to start the first regular Hawkman series in 18 years. Isabella had a five-year plan for the Hawks, but other stories, especially Crisis on Infinite Earths, got in the way and the series quickly lost momentum. The series showed Katar and Shiera as equals and totally head over heels in love with each other. Their relationship and the art by Richard Howell were the highlights of the run. 7. Showcase (1978, 3 issues): It was only a three-issue run but the writing by Jack C. Harris was spot on, and the art by Allen Milgrom (pencils) and Murphy Anderson (inks) was perfect. 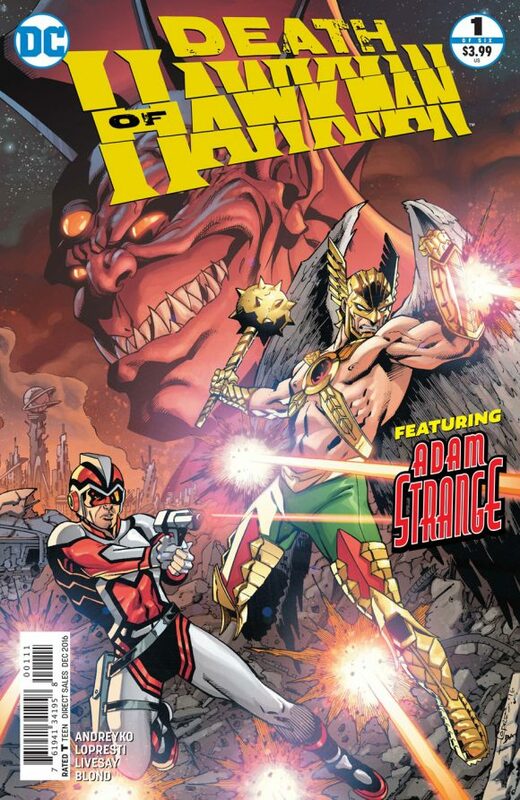 The classic pairing of Hawkman and Adam Strange is always fun. Joe Kubert’s covers alone are enough to push this arc up a couple of notches in the rankings. 6. The Shadow War of Hawkman (1985, 4 issues). In my opinion, this was the first series that truly established Hawkman and Hawkgirl as equals. (The Hawks work best when they are together.) 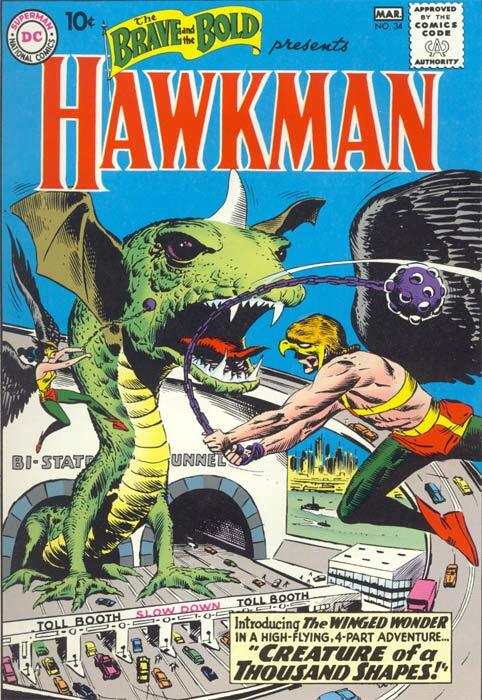 Tony Isabella’s story, along with Richard Howell and Alfredo Alcala’s art, was so popular that the first regular Hawkman series since 1968 was kicked off a year later. May this series and Hawkman, Vol. 2, be put together in one collection someday. 5. Legend of the Hawkman (2000, 3 issues). 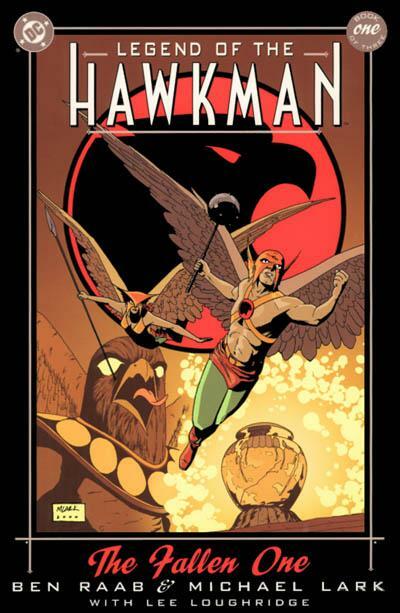 This series by writer Benjamin Raab and artist Michael Lark is the hidden jewel of the Hawkman series. It’s a complete standalone story, centering on Thanagarian Katar and Shayera Hol’s struggle with living on a foreign planet and questions about their faith. The art really works with the story and gives it a surreal, otherworldly tone. I often recommend this to new readers and they come away loving it every time. It’s a true classic that will remain a Hawkfan-favorite. 4. Hawkman, Vol. 1 (1964-1968, 27 issues). 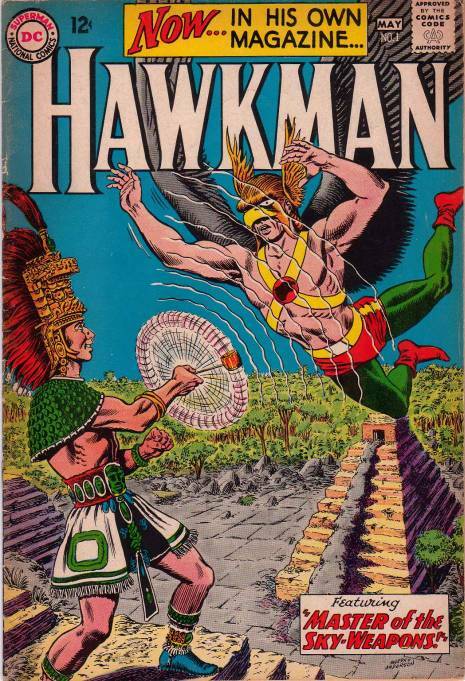 Twenty-four years after his debut in 1939, Hawkman finally got his own title. The character’s co-creator, Gardner Fox, teamed up with Murphy Anderson and continued the Silver Age Hawkman we saw in The Brave and the Bold and the Mystery in Space issues. This series gave us a Hawkman who used his smarts and flying agility to overcome the problems that came his way. And Anderson’ style is still instantly recognizable today. 3. 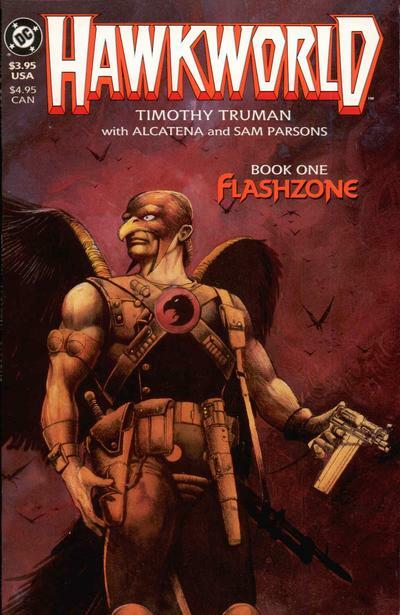 Hawkworld, Vol. 1 (1989, 3 issues). Timothy Truman’s series came out while I was in school but with no time and no money, I didn’t get to it until I had all three issues. I clearly remember when I sat down with it, though — because I think I read it through without breathing. The story was dark, downbeat, and it completely captured my imagination. This changed the whole story of Hawkman and gave us a distinctively different character. There was so much potential after the first volume but that old continuity beast reared its ugly head. Still, this series is stunning all on its own. 2. Hawkman, Vol. 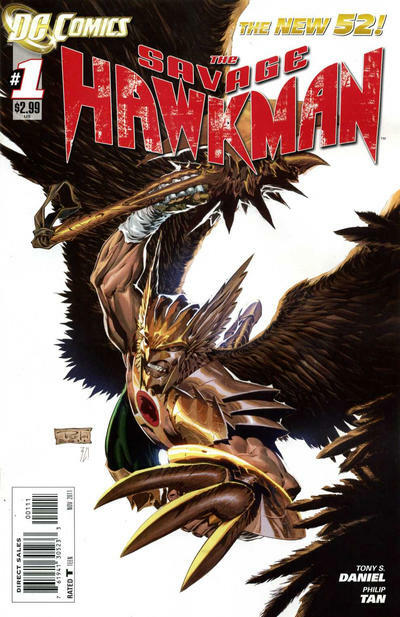 4 (2002-06, titled Hawkman for first 49 issues; 2006-07, titled Hawkgirl from 50 to 66). It took six years after Hawkman, Vol. 3, ended in 1996 for the Winged Warrior to get another solo run. Geoff Johns tied together all the continuity loose ends as no one ever had and it made more sense than it had a right to. Katar Hol of the Hawkworld series and the Golden-Silver-Bronze Age Carter Hall were now merged into one character. 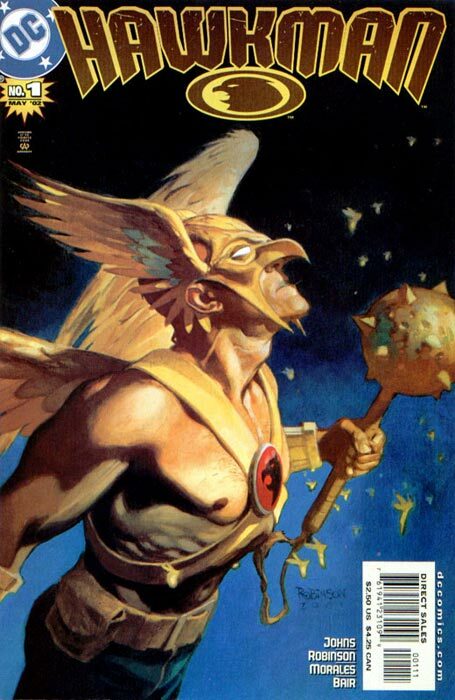 The first 25 or so issues, with Johns writing and Rags Morales penciling, was one of the best runs in Hawkman history. Jimmy Palmiotti and Justin Gray kept the level up until another Crisis event intervened. 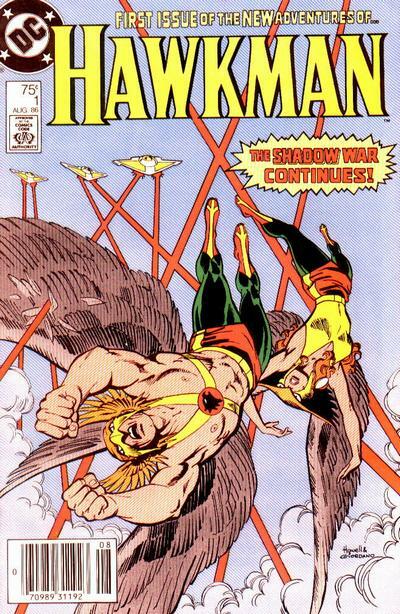 At 49 issues (plus the 17 issues of Hawkgirl), it’s the longest Hawkman run to date. 1. The Brave and the Bold (1961-62; six issues, #34-36, #42-44). Hawkman finally made his debut in the Silver Age and it had it all: Gardner Fox’s writing, Joe Kubert’s art, Thanagar, Midway City, Absorbascons, “bird talk,” new villains, and married couple Katar and Shayera Hol disguised as Carter and Shiera Hall, who worked as curators at the Midway City Museum. Here we had a hero who used his smarts and his aerial abilities to win the day, and a heroine who was just as capable, or even better in some ways, than her male counterpart. Pure superhero fun that has remained a favorite of many Hawkfans. So there it is! But ask me tomorrow and I’ll probably have them listed in a different order. The point is that all Hawkman/Hawkgirl series are enjoyable in some way — and definitely worth tracking down. 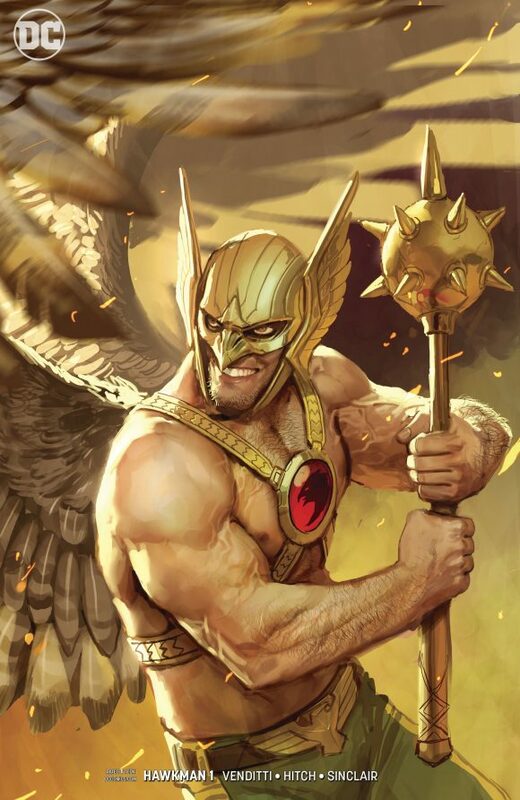 — 13 THINGS We Want to See in the New HAWKMAN Series. Click here.